Scott Marshall from Feeding America Eastern Wisconsin and OnMilwaukee&apos;s Molly Snyder are thrilled with the results of the campaign. Published Jan. 15, 2019 at 4:30 p.m.
OnMilwaukee strives to "Move Milwaukee Forward" every single day and we do this in many different ways through a confluence of technology, creativity and community. Sometimes we move forward with stories, other times it gets a little stickier. Literally. 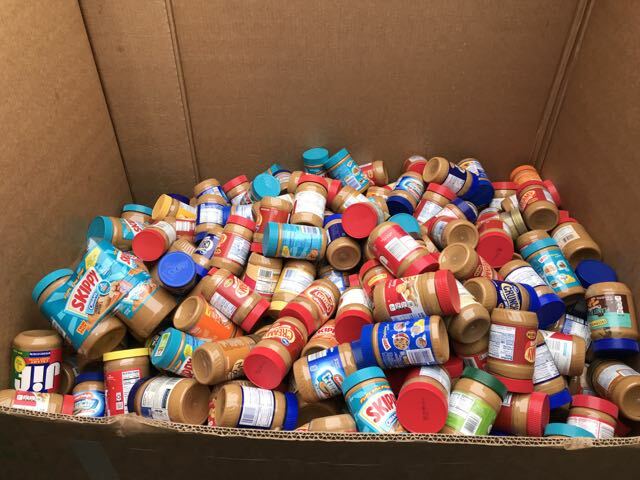 Through a campaign we named "Peanut Butter & Jolly," OnMilwaukee set a goal to collect 999 jars of peanut butter during the holiday season for Feeding America Eastern Wisconsin. 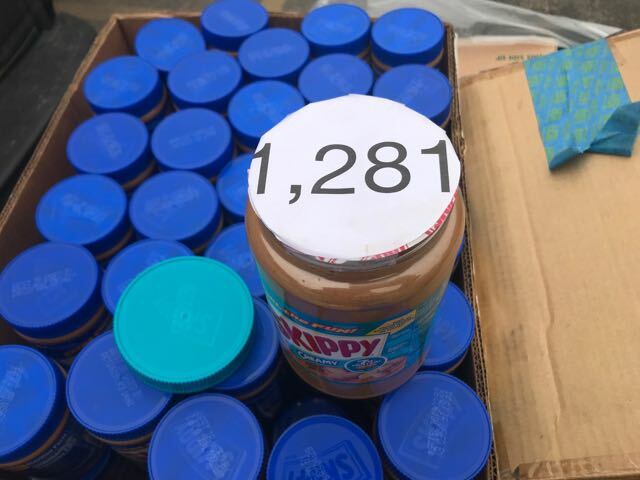 Today, we learned that we not only made the goal, but we surpassed it, and had the joy of delivering 1,281 jars to the food-solution facility this afternoon. That's 1,592 pounds of peanut butter! "Peanut butter is gold. It's not only a protein but it can be eaten for breakfast, lunch or dinner and kids can make it safely for themselves if their parents or caregivers are working or not providing supervision," says Patti Habeck, Feeding America Eastern Wisconsin Executive Director. 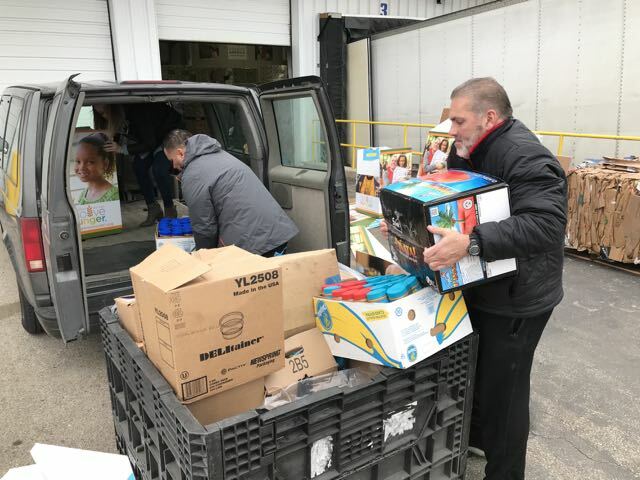 In late November, numerous bars, restaurants and even a dentist's office agreed – or requested – to be a part of the drive. AJ Bombers, Fuel on 5th, Gold's Gym, Hawthorne Coffee Roasters, The Peanut Butter & Jelly Deli, Dr. Mark Crego's dental office, Tri-City National Bank, Pepper's Pub and The Irish Cottage all contributed to the collection process. Beans & Barley, redbar and Outpost Natural Foods also made kind contributions. And numerous families and individuals – including my heavy-lifter of a partner, Royal Brevvaxling – participated, as well, making the goal a reality. Pepper's Pub and Tri-City Bank collected the most jars of peanut butter during the drive, and a special shout-out goes to Gold's Gym for making a generous donation at the end of the drive to push us way over the line. Thus we thank everyone who contributed from one jar to multiple cases. We truly couldn't have done it without you.